In the last section, we learned how to use 「方」 to make comparison. We can also use 「方」 to describe how to do something. This is done by attaching 「方」 to the verb stem. However, in this usage, the reading is 「かた」 not 「ほう」. The result is used as a regular noun (it may help to translate it as “way of doing…”). In addition, 「方」（かた） is also used to refer to a person politely. (Are you) not going to teach (tell) that person the way to go to the hotel? Do (you) know the way to the train station? Given now where things like sushi and Chinese food is common, Americans who know how to use chopsticks is not few (in number). 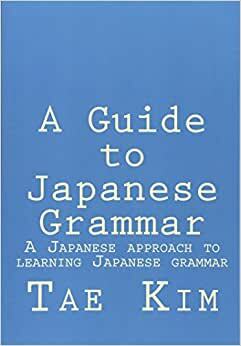 Another way to describe how to do something is by using the phrase 「どうやって」. 「やる」 is a more casual version of the verb 「する」 (“to do”) so the phrase literally means “how do and”. It’s used just like the regular te-form to express a sequence of actions as we learned in the last chapter. Because 「どうして」 also means “why”, 「どうやって」 is more common. How do (you) go about making curry? How do (you) write (a) Japanese address? How do (you) go from Tokyo station to Shinjuku station? John: Excuse me, do you know the way to go to (the) station closest from here? John: Japanese is ok so there’s two train stations on this map, right? Which is closer? John: (I) wonder, is my pronunciation bad? Alice: Teacher, (I) heard that in Japan street(s) don’t have street names attached but is (it) true? Teacher: Yes. In Japan, only large roads have names attached (to them). Alice: With that, how do (you) find (an) address? Teacher: Most people use (places like) train station(s) and convenience store(s), make places that become landmark(s) into clue(s) and find (it). Alice: With that way of doing (things), don’t (you) get lost a lot? Teacher: (You’ll) soon get used to (it), so (it’s) ok.
Alice: (By) saying “get used to”, (you mean) to what?